The meeting was attended by the Chair of the TU1406 Jose C. Matos, members of the TU1406 including representatives from BiH. Ljubo Pravdić, director of PC Roads of the Federation of BiH welcomed the attendees and briefly presented the condition of roadway bridges on the main road network in FBiH. 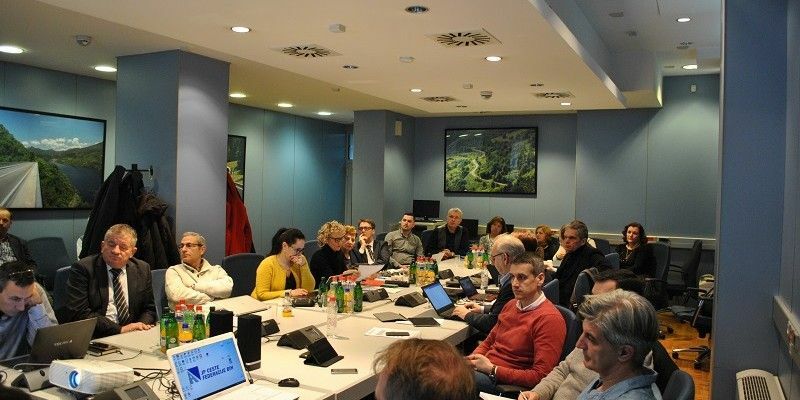 During the meeting, the representatives of the Brčko District, PC Roads of the Republic of Srpska and PC Roads of the Federation of Bosnia and Herzegovina presented plans to improve the Bridge Management Systems (BMS) on the relevant road network.